The bank's license was revoked without interim administration stage. Ukraine's central bank, the NBU has ruled on August 30, in bypass of the stage of the interim administration to withdraw the banking license and liquidate PJSC KSG Bank for the violation in the money laundering, in particular - for risky activities in the field of financial monitoring. The NBU has found that the bank was engaged in the conversion of funds. The banks operations involved several companies, credit unions and individual entrepreneurs. The participants of the of scheme have carried out multi-million dollar transfers to bank accounts of individual clients and then cashed the money, the NBU website said in a 31 August release. According to the available information about the bank's financial condition, these clients were in fact unable to carry out financial transactions in such volumes. The individuals involved in this scheme, according to bank records, have delegated their transaction powers on their accounts to one legal entity, who was issued more than 500 additional payment cards. The passport of this person, according to law enforcement officials, is listed as stolen. The uncovered information and banking documents will be handed over to law enforcement agencies. The liquidation of the bank will not be a significant burden on the Deposit Guarantee Fund and 95% of 1200 depositors of the bank will receive full compensation. 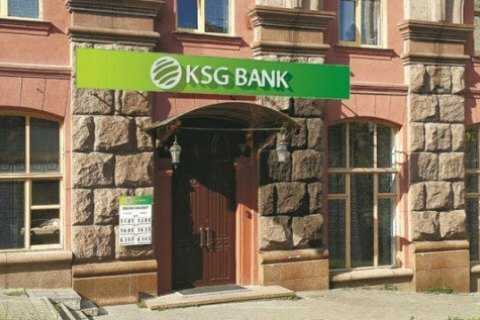 KSG Bank is owned Serhiy and Kseniya Kasyanov (by 33.46%) and Oleksandr Shepelev (16.39%). Kasyanov is the owner of KSG Agro Holding, which operates across all segments of the agricultural market, including production, storage, processing and sale of agricultural products. Since 2011, KSG Agro stock have been traded at the Warsaw Stock Exchange.